Kevin Newton the founder of 'The Bus Shelter' presented his project - to end rough sleeping on the IOW, to Shanklin Rotary Club members. Shanklin Rotary Club welcomed Kevin Newton to their meeting on Wednesday 28th September, to give a presentation on ‘The Bus Shelter’. The Bus Shelter is a project to provide food and overnight accommodation to people who are sleeping rough all over the Isle of Wight, all this in a converted Double-Decker Bus. But it doesn’t stop there, true to their mantra ‘Sleep is only the Beginning’, help is also provided to get people back into permanent accommodation and to find work to sustain this. 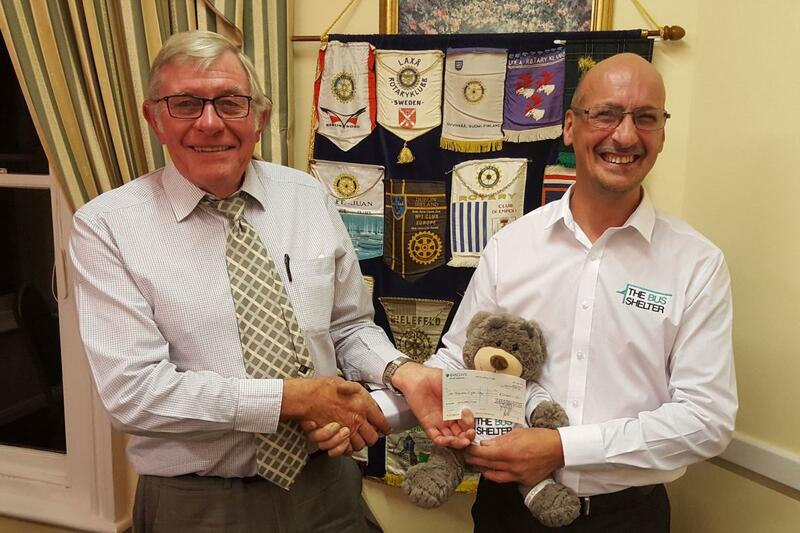 Shanklin Rotary Club were happy to present Kevin with a cheque for £2,000 to support this unique and ground breaking project, which is thought to be the first in the world to approach this challenge in this way.